Configuring LinuxCnc to accept my touch plate (also known as a touch-off plate) was not easy. Based on the information form cnczone.com I compiled this overview. My system didn’t have a touch plate nor did it have a connection prepared for this. 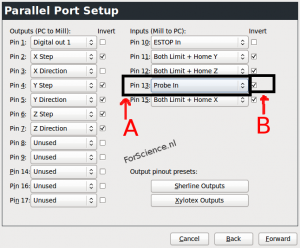 This article is not about adding a touch plate interface to your controller board, but about configuring LinuxCnc to be able to use it. 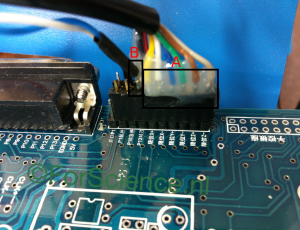 Nevertheless 2 photo’s of my work to modify my controller to accept a touch plate. Driver board with empty connector. Section A is for the limit switches. Section B will contain the wires for the touch plate. Section A has the limit switches wired up. Section B has the new wiring for the touch plate. 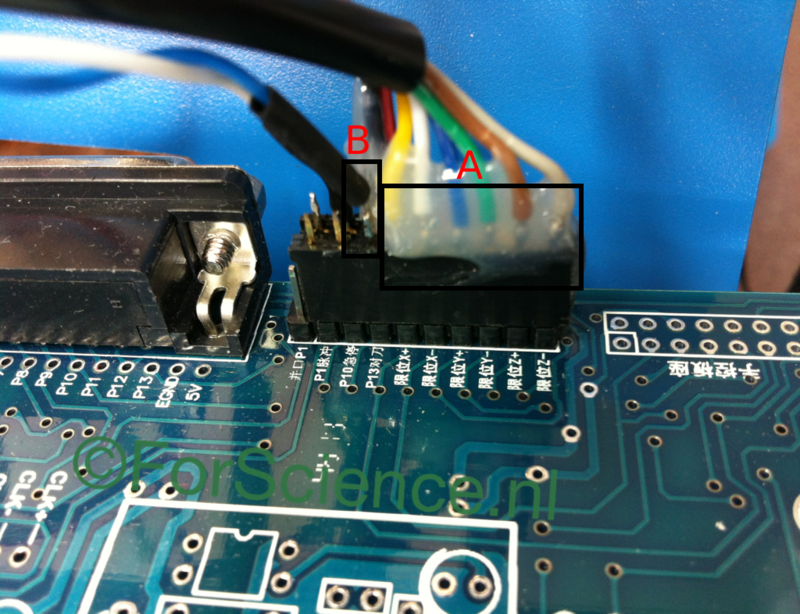 LinuxCnc needs to know to which (input) pin number of the driver board the touch plate is connected. In my case it’s pin number 13, consult your driver boards manual or other provided documentation to find yours. 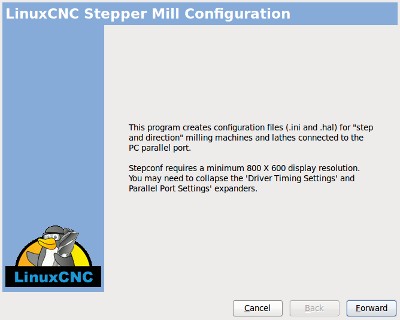 Configure LinuxCnc for using the touch plate. Start the Stepconf Wizard. Select the existing configuration file. Press forward on the Basic Machine Information screen. Press forward on the Advanced Configuration options. 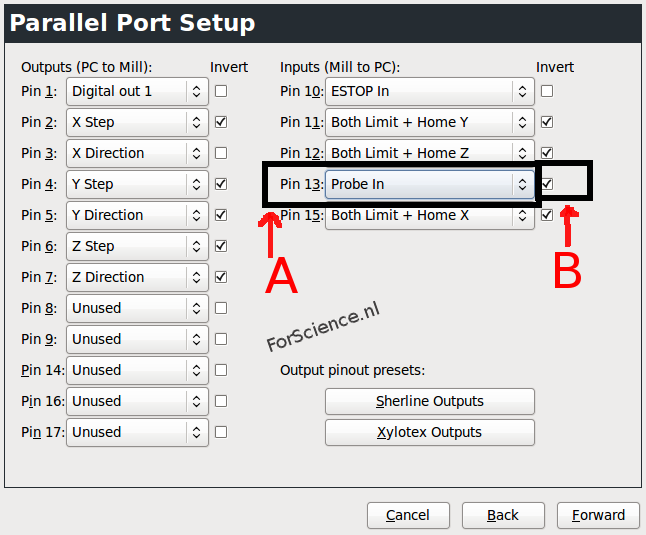 Now you arrived at the Parallel Port Setup screen. 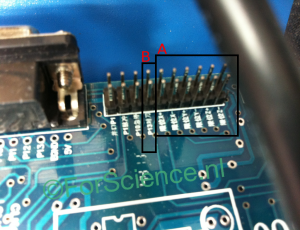 Select the correct pin number, mine is 13, and select Probe In from the dropdown menu (See A). After verifying my setup (See step 3 further down) I found out that I had to invert my signal hence the invert box is ticked (See B).